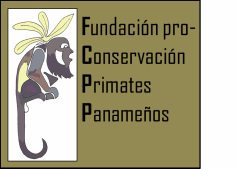 As a part of our mission to evaluate the habitats where primates are in Panama, we are in the need to survey other groups of mammals that are important as indicators of ecological health of the forest. Bats are one of our best indicators as they are good pollinators, faster than primates, and could show in short time if the habitat is disturbed. In the photo: Pedro Mendez-Carvajal with a frugivorous bat.